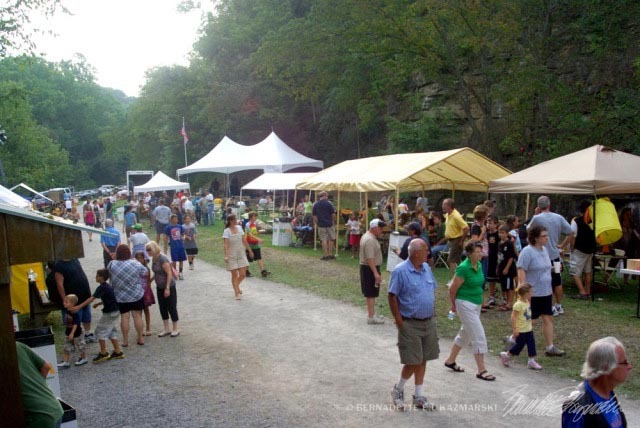 Rock the Quarry – For over a decade, Rock the Quarry (RTQ) has been an annual autumn tradition. RTQ features two days of music, food, and fun. Each year, RTQ showcases up-and-coming local musical talent. Day two of RTQ features lots of activities for the kids as well as the Grand Rubber Duck Race and the traditional sunset Remembrance Ceremony. Click here for information on this year’s event listing. Night Walk – The Night Walk on the Panhandle Trail is an annual Halloween tradition. This Halloween tradition features glowing pumpkins lining the trail from the Walkers Mill starting point to Rennerdale Station where treat bags are given to children age 12 and under. Funny, non-scary kids’ stories are read around the bonfire at the Quarry. Free hot chocolate and apple cider warm the trekkers along the way. Visit our RTQ page for updates on Rock the Quarry, or sign up to receive notices on our blog, Facebook page or Twitter @PanhandleCollFr! To hold your event on the Collier portion of the Panhandle Trail, contact Kay Downey-Clarke at 724-693-0870. Judith, it’s October 22, 2016 at 7:00 pm. There’s a link above for “Night Walk” that takes you to the page about the event page where all the details are updated each year, and if anything changes it will be there too. It’s easier to keep up with updates if it’s just in one place. Hope to see you there! When is your trick or treat night on the trail?